Philly takin’ on The Burgh. 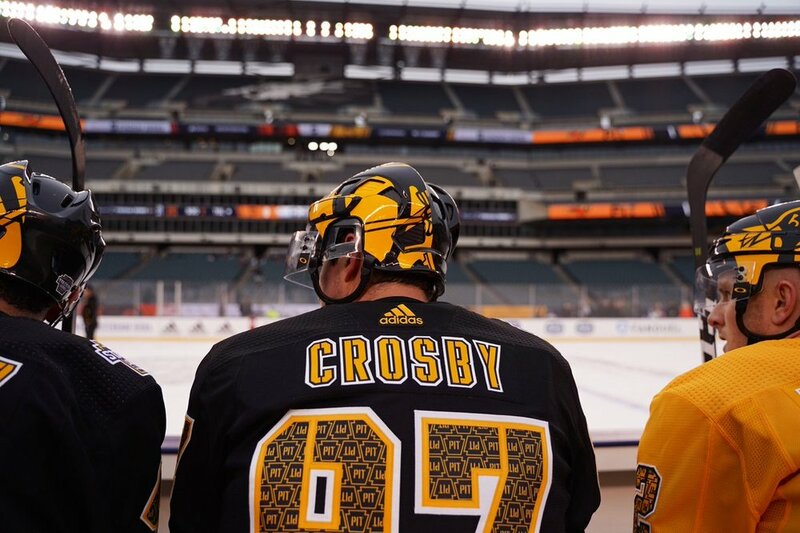 The Penguins and Flyers are preparing to face off in the 2019 Stadium Series. 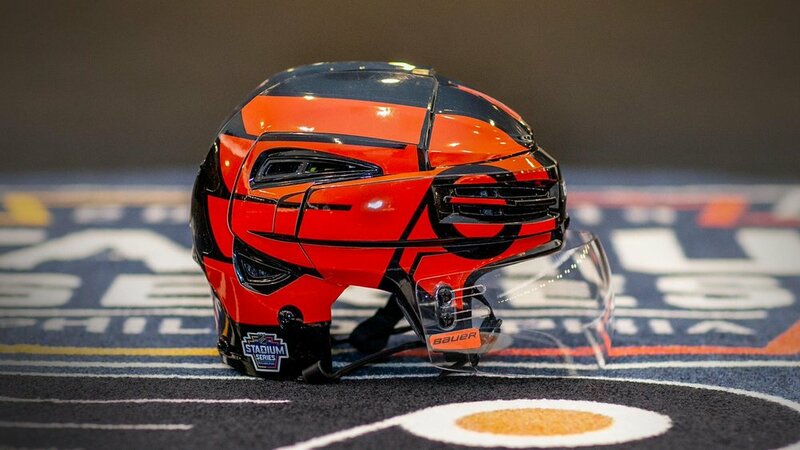 We have seen the special jerseys that each team will wear and now they have unveiled their helmets for the matchup. See here for Penguins. See here for Flyers. 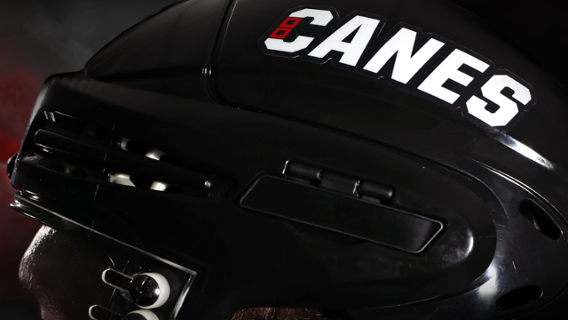 Both teams are going outside the box on traditional hockey helmets. The Penguins will have an oversized logo on one side of the helmet with the players number on the other. 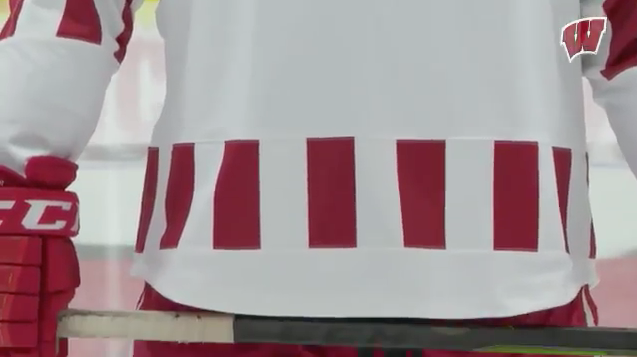 The Flyers are going with their oversized logo wrapping around both sides giving an almost wing style look. 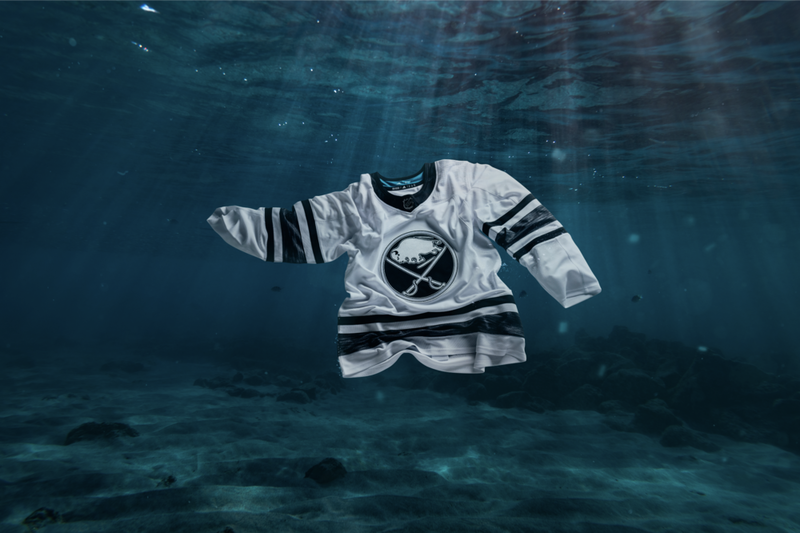 We are excited to see these unique uniforms hit the ice. 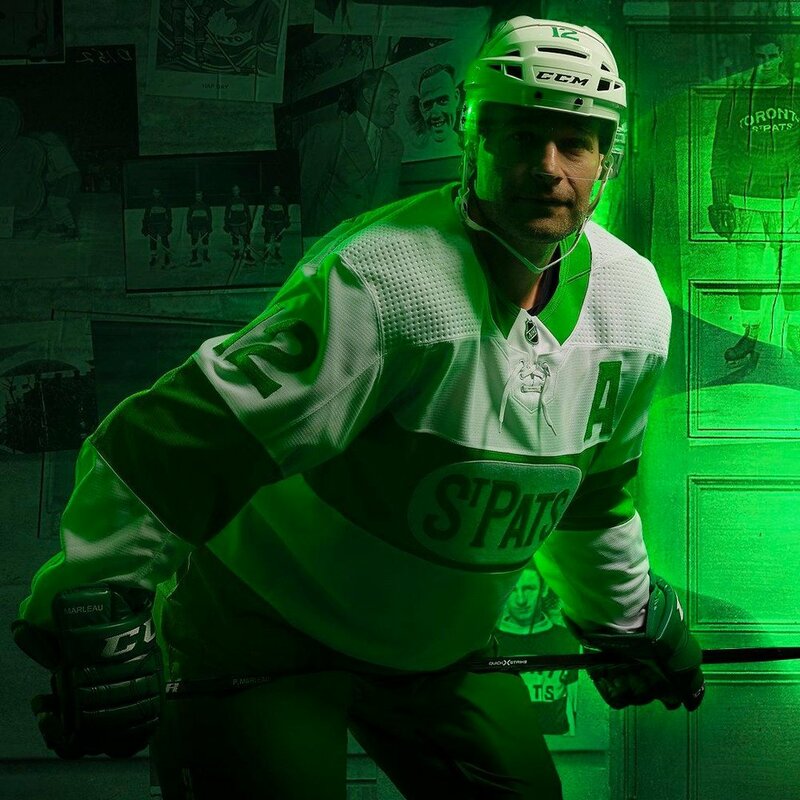 The Toronto Maple Leafs are celebrating St Patrick’s Day with these special throwback uniforms. 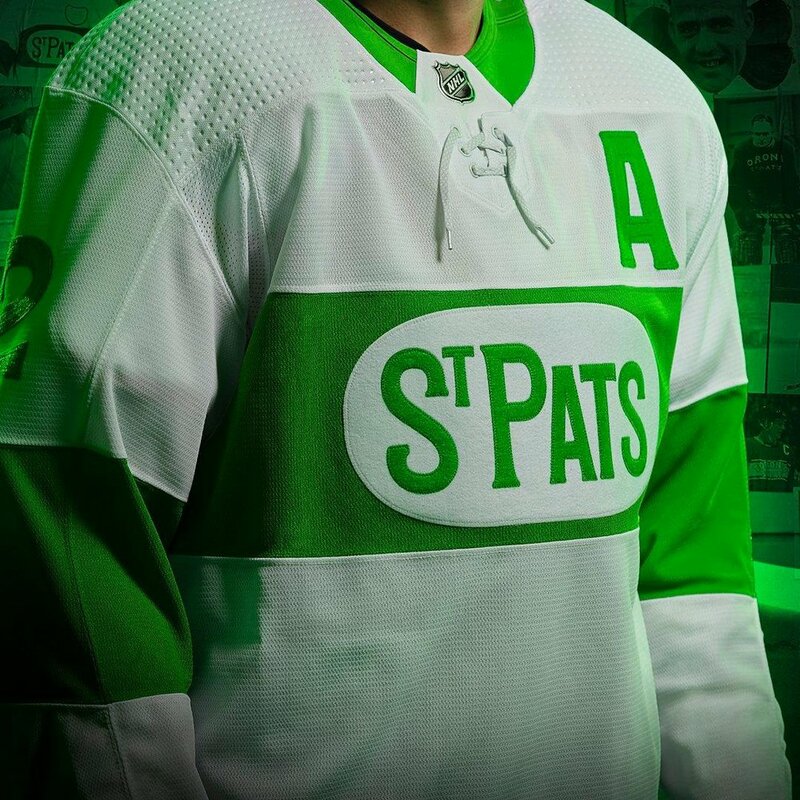 The Leafs will wear green and white retro Toronto St Pat’s jerseys for two games next month. The retro look is the same look the team had when they won the 1922 Stanley Cup. We will see the Leafs in the green and white at home to the Philadelphia Flyers on March 15 and again on the road on March 16 against the Ottawa Senators, ahead of St Patrick’s Day. 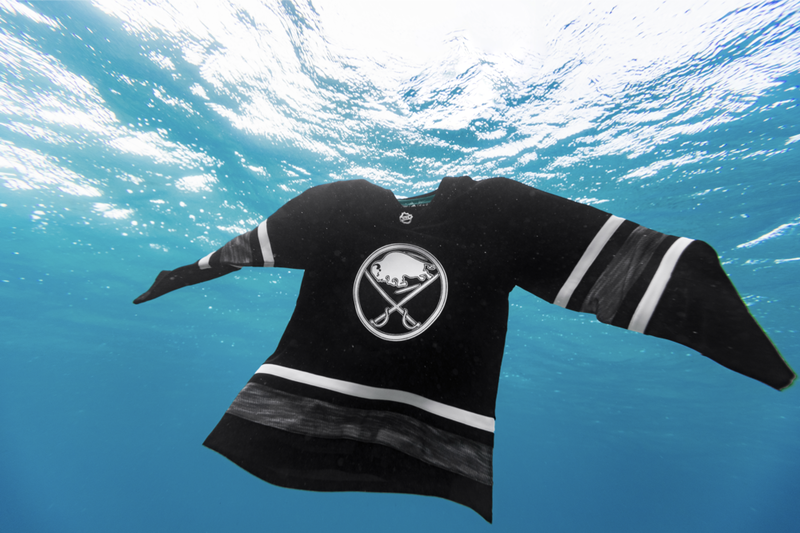 The Tampa Bay Lightning has revealed their newest addition to their uniform arsenal. 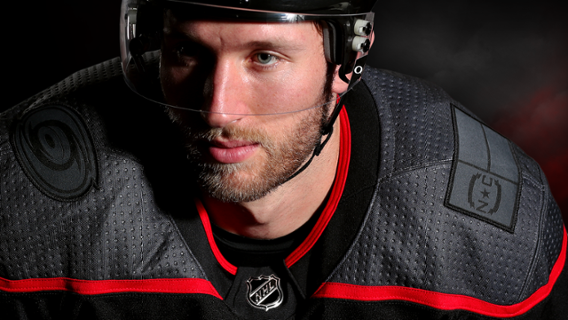 The team hits the ice tonight in their new bold, modern design that has been influenced by speed, innovation and a new interpretation of the past. 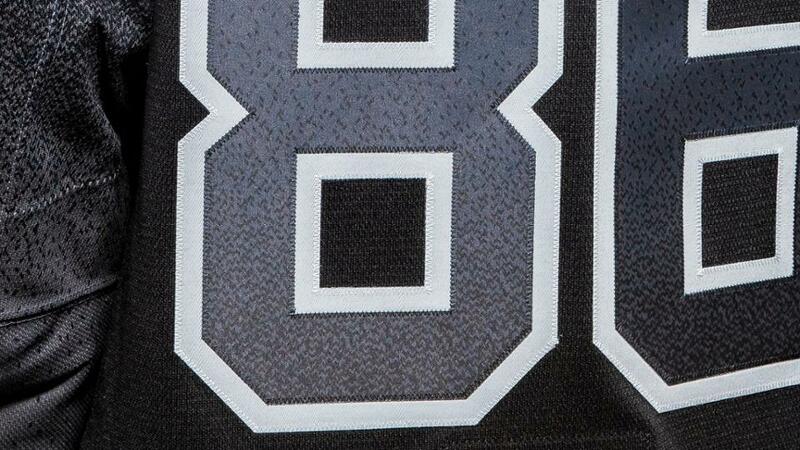 A modern reflection of the past, the lightweight gradient crest and a tonal shoulder patch feature greys from the previous third jerseys, all anchored in the 2004 Stanley Cup winning black. The design on the jerseys sleeves and numbers are inspired by the electricity of the fans to create one of the most innovative jersey designs. The design stays consistent with the Lightning’s current uniforms with the primary mark on the crest and helmet, along with the patch logo on the shoulder and iconic bolt on the pants. 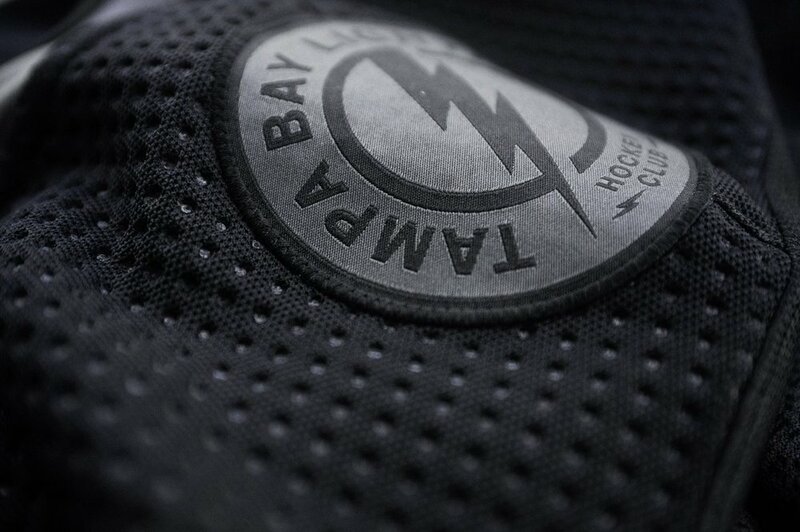 On the inside of the collar pays homage to the past alternate uniform with the Bolts wordmark. 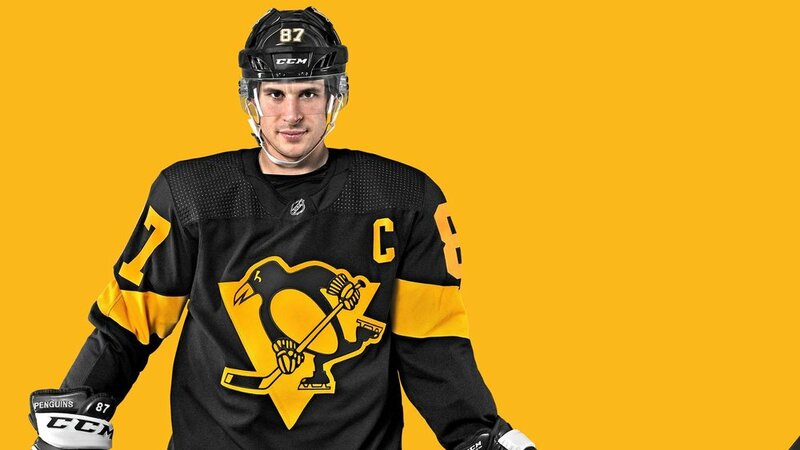 The Penguins have revealed their Stadium Series Jerseys that they will hit the ice in against the Philadelphia Flyers at Lincoln Financial Field on Feb. 23rd. The special jersey fully embraces the teams black and yellow colorway with a black jersey featuring yellow logo and stripes. THE ADIDAS DESIGNERS LOOKED TO MAKE EVEN MORE OF A VISUAL STATEMENT IN THE STADIUM BY DEVELOPING A COMPLETELY NEW CRESTING MATERIAL BASED ON WORKWEAR DUCK CANVAS. HIGH GAUGE YARNS ARE WOVEN INTO A THICK TEXTILE SO THAT IT CAN STAND ON ITS OWN WITHOUT A TWILL BACKING. 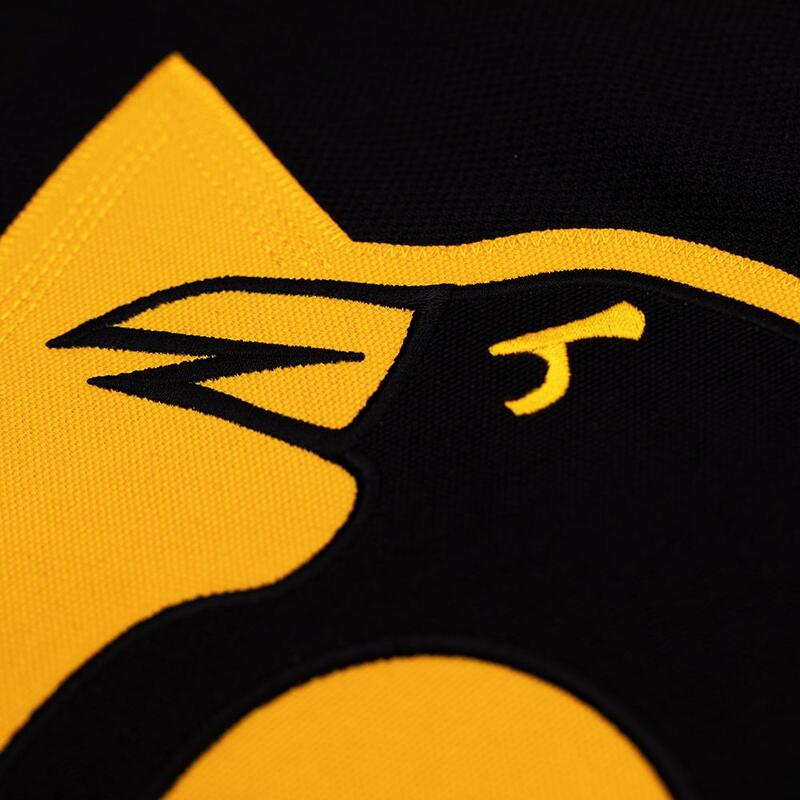 On the inside of the neckline reads "A GREAT DAY FOR HOCKEY" in block letter stenciling, as a tribute to former Penguins coach "Badger" Bob Johnson. 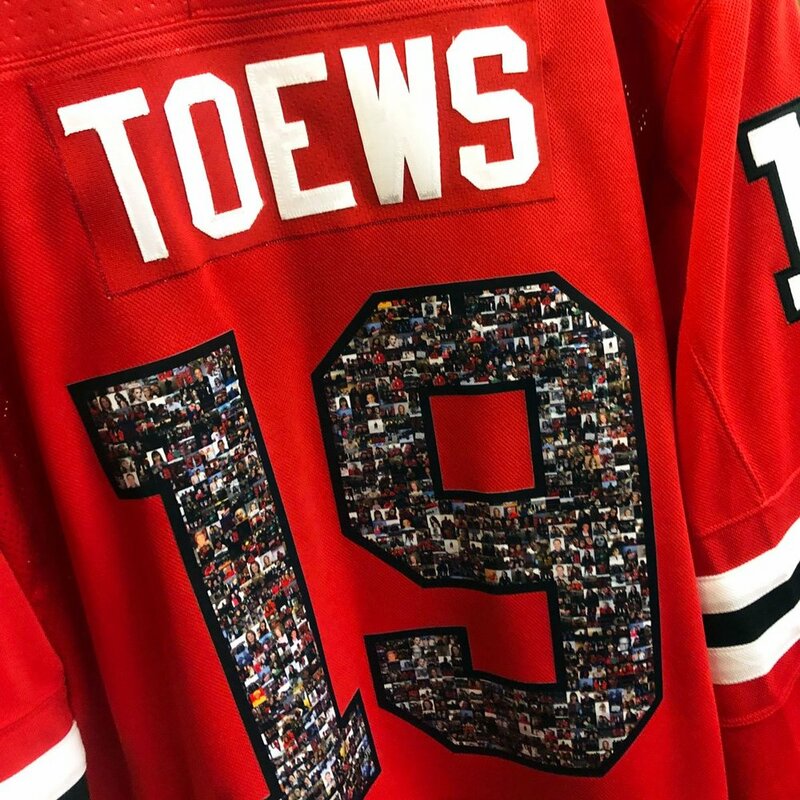 Finally, A SPECIAL-EDITION 2019 NHL STADIUM SERIES PATCH WILL BE ON THE RIGHT SHOULDER OF THE JERSEY. 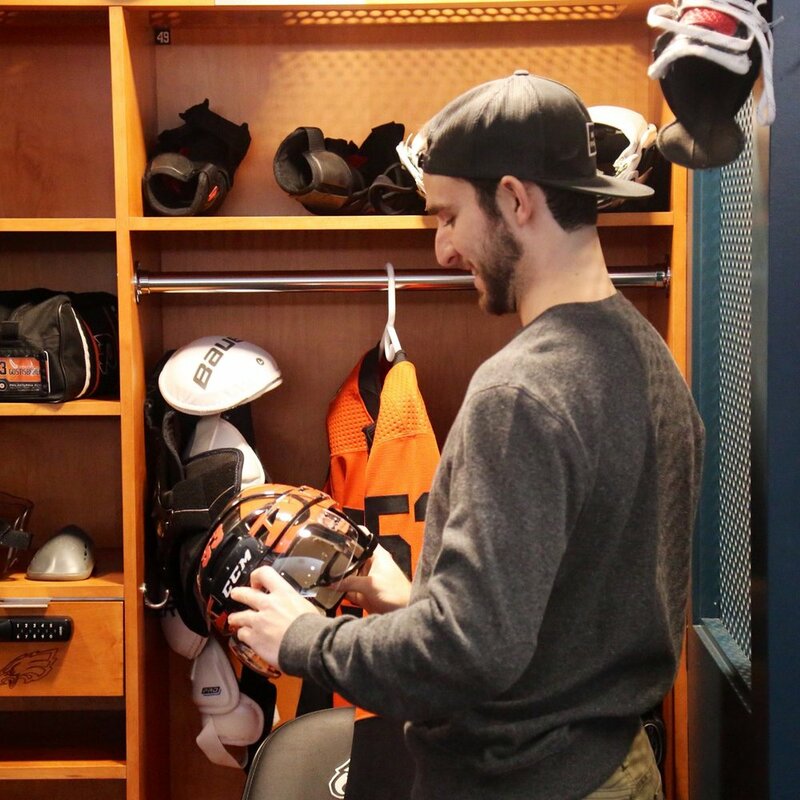 See the Flyers Stadium Series Jersey Here. Broad Street ➡️ Battle of Pennsylvania. 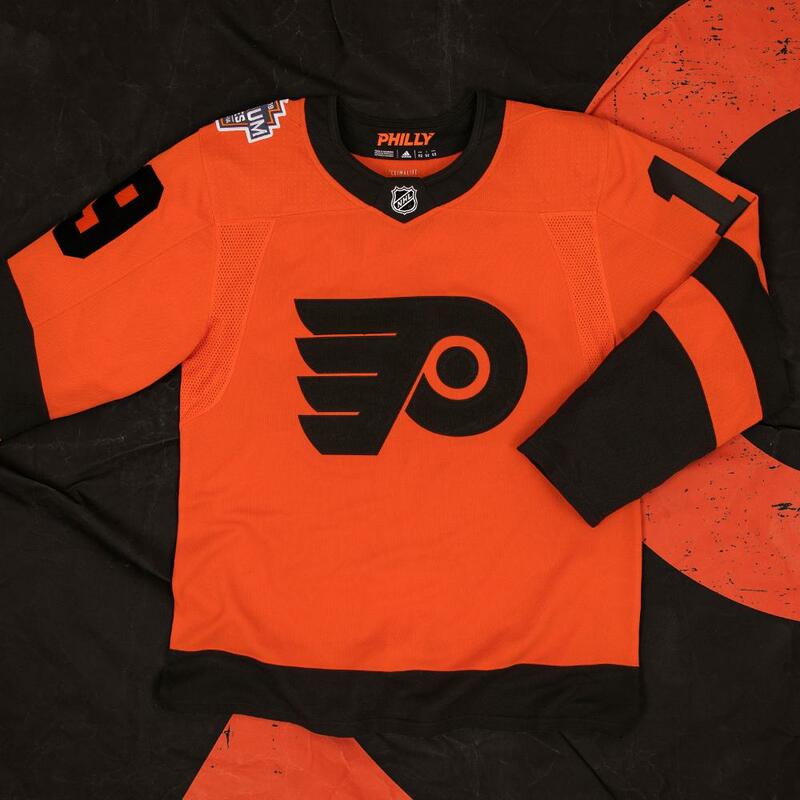 The Philadelphia Flyers have revealed their 2019 Stadium Series jersey. 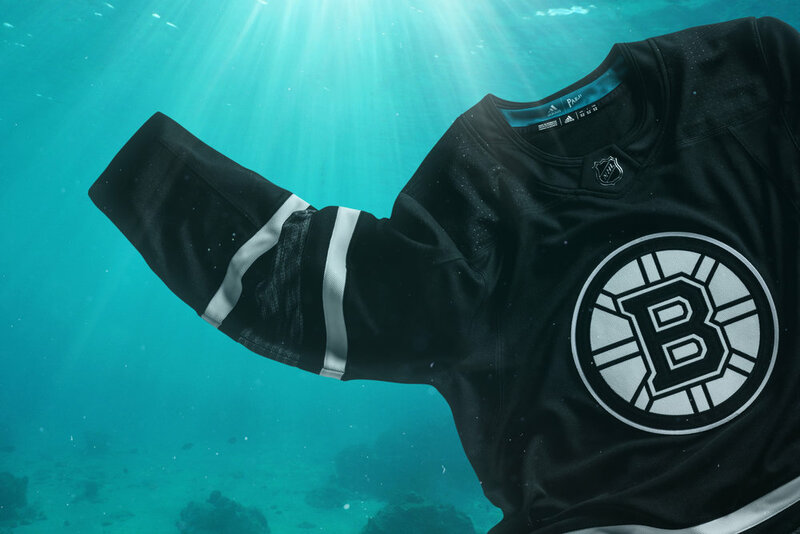 The special-edition jersey will hit the ice at Lincoln Financial Field on Feb. 23rd. The team will embrace their burnt orange color as the main color with black oversized stripes. The adidas designers looked to make even more of a visual statement in the stadium by developing a completely new cresting material based on workwear duck canvas. High gauge yarns are woven into a thick textile so that it can stand on its own without a twill backing. Further details come in on the inside of the neckline with Flyers jersey including “PHILLY” in block letter stenciling to represent the host city. 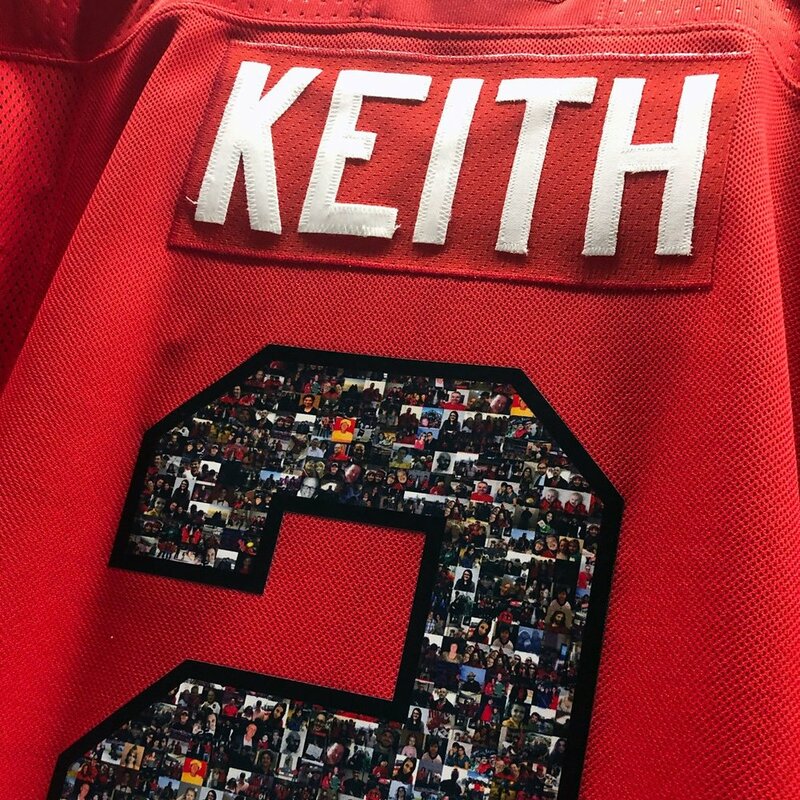 Also a special-edition 2019 NHL Stadium Series patch will be on the right shoulder of the jersey. 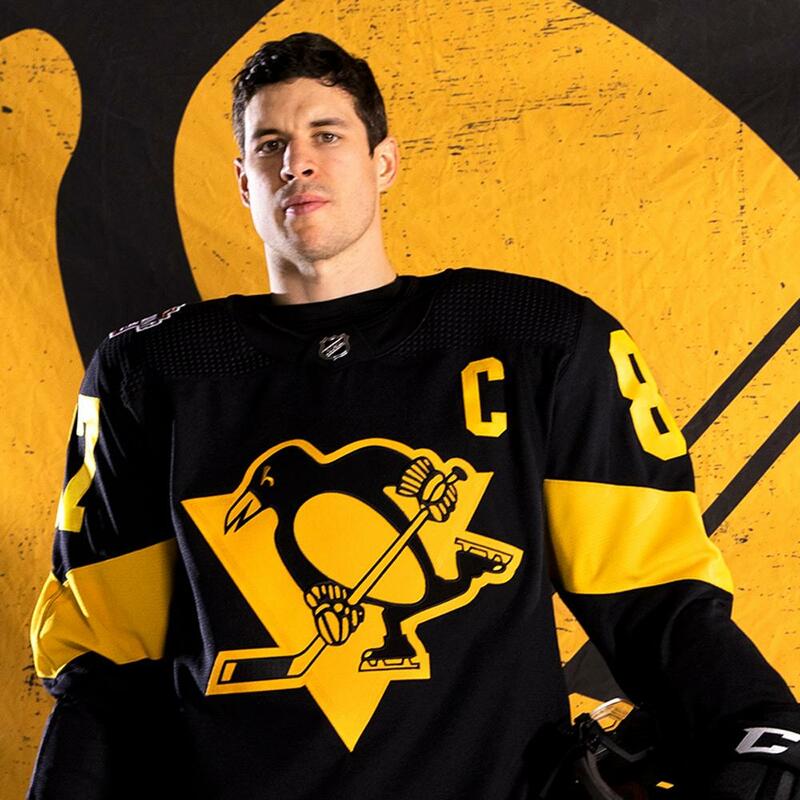 See the Penguins Stadium Series Jersey here. 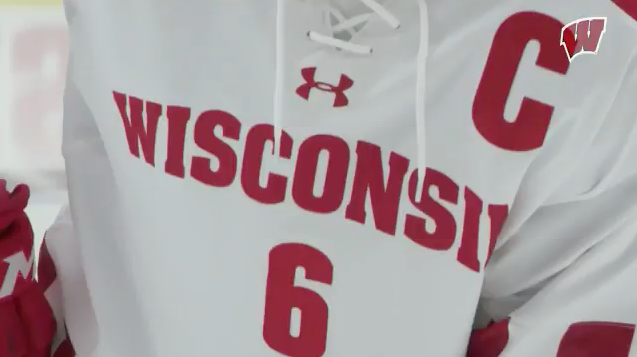 Wisconsin Hockey has introduced their third jersey for the season. 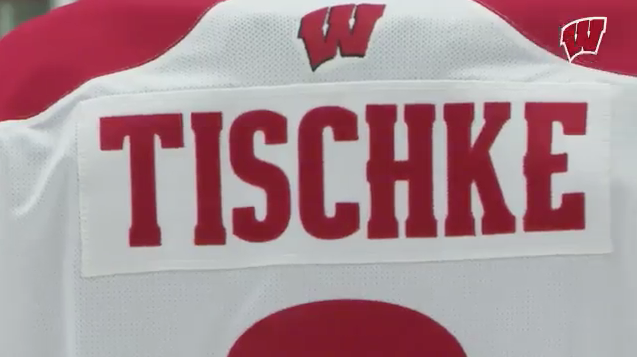 The base white jersey will feature a red Wisconsin workmark across the chest along with red numbers. 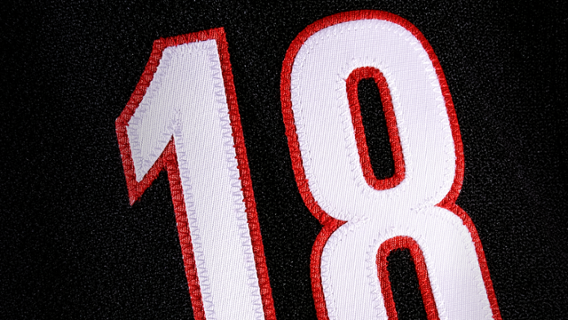 On the bottom of the jersey we see a thick vertical pin-striping pattern run along the entire bottom. The neck will highlight the traditional shoe string lacing style and to finish off the look the jersey features red shoulders. Penn State Hockey has revealed their Alternate uniform that we will see them hit the ice in for their game on January 11th. 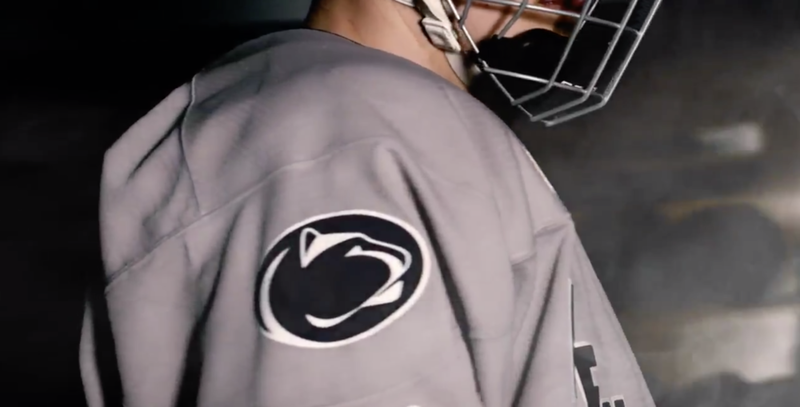 The Nittany Lions will go with a navy helmet that will be paired with a grey sweater that has Penn State diagonally across the chest and navy striping. 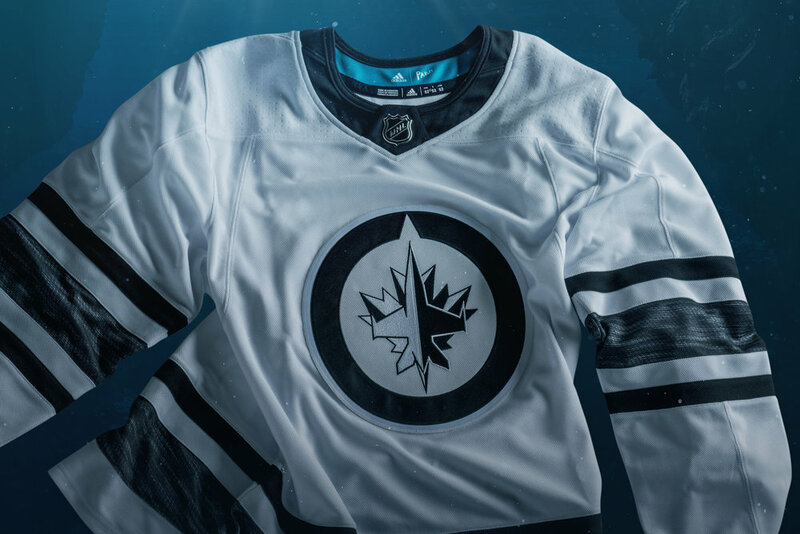 The NHL has revealed the 2019 All-Star jerseys from adidas. 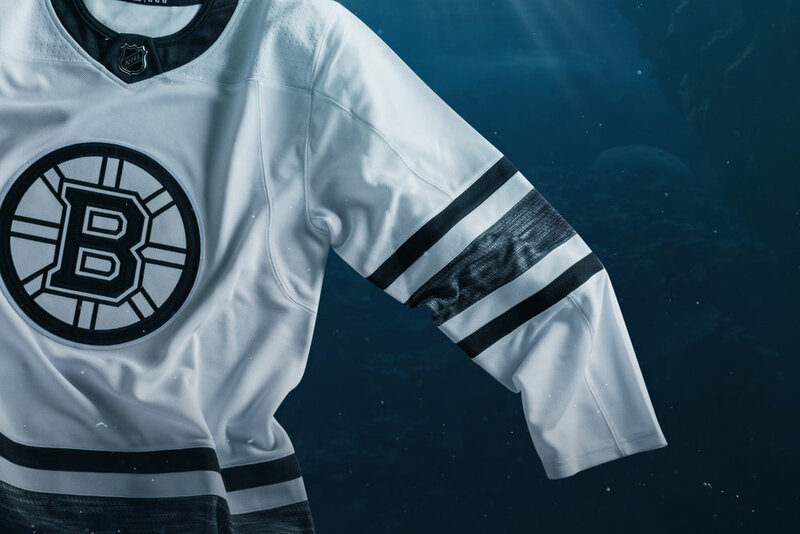 For this year’s look the NHL and adidas partnered with Parley to create the first-ever NHL hockey jersey that features repurposed and upcycled materials. We will see the best NHL players hit the ice in the new threads for the All-Star Skills Challenge as well as in the All-Star Game. The design is inspired by the colors of the game, White like a fresh sheet ice and Black like a new puck. 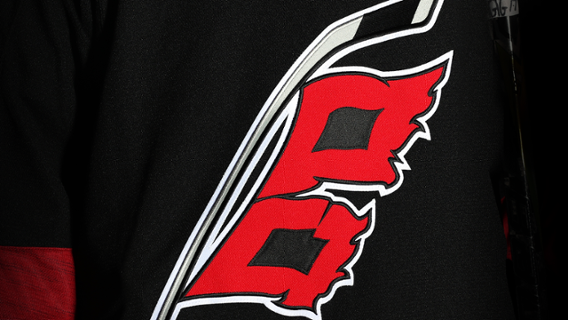 On the front of each jersey we see the team’s crest. 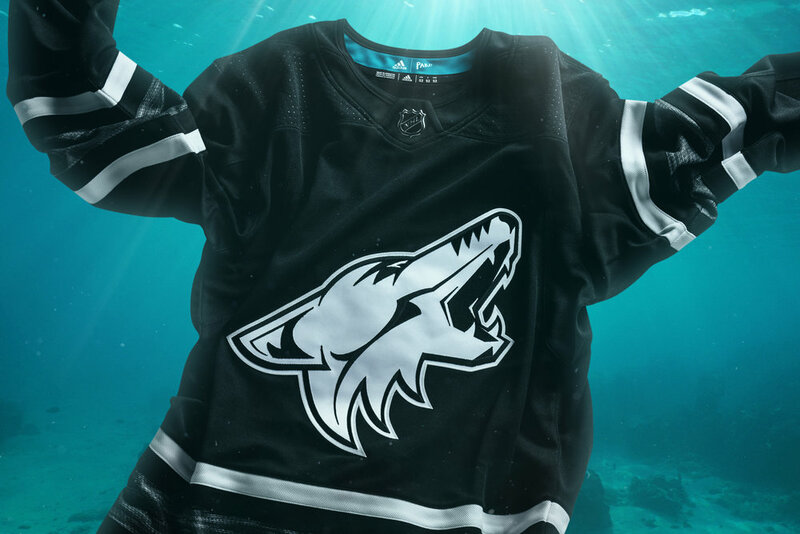 This will be the first time that team logos will be used on the NHL All-Star jerseys. 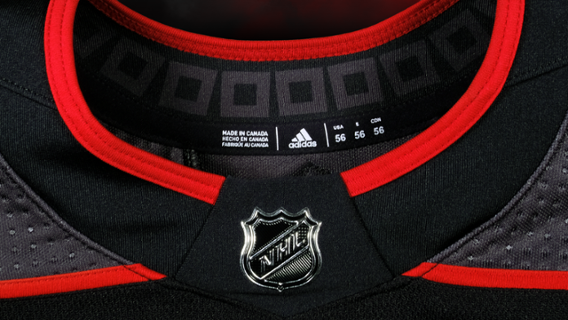 Previously, All-Star jerseys have featured the NHL Shield and conference logo. 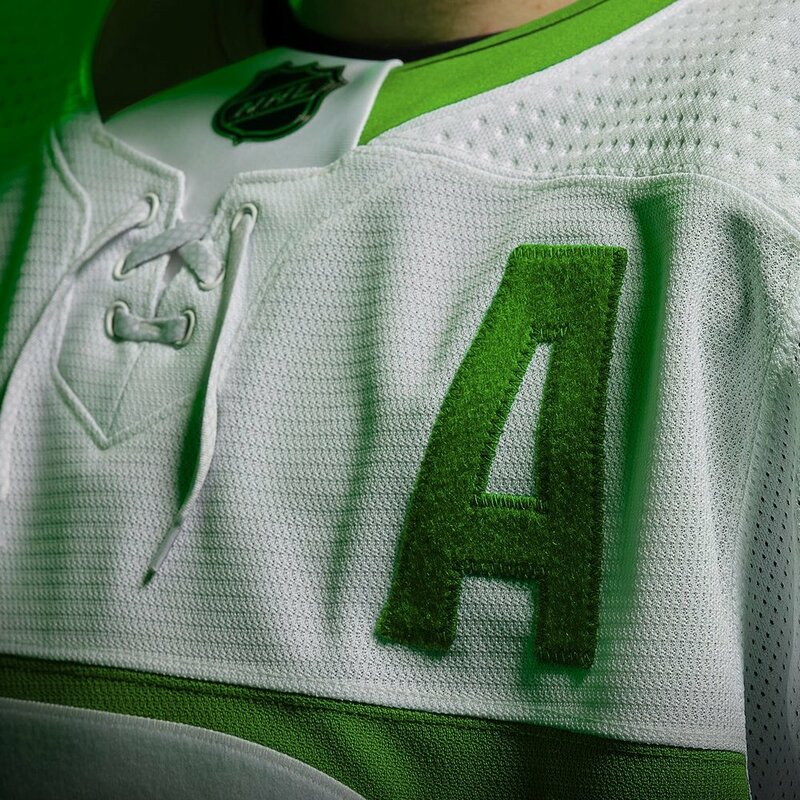 More design details include contrasting black or white perforated numbers, names and sleeve stripes, as well as the 2019 NHL All-Star patch on the right shoulder of each jersey.